Perhaps I have read enough materials of various kinds and lived a flow-like life enough that the encouraging insights of Flow: The psychology of optimal experience by Mihaly Csikzentmihalyi appeal to me only transiently, much as a McDonald's french fry would. I get the same sense of mild unhealthiness in consuming either. Spam email subject of the day: Trust in the force. A quotable quote from D: "oh well....brilliance is in coming up with an explanation of why things don't work..intelligence is in making them work :-) "
My work computer desktop has never looked clean before now. Usually it would look like the above. This is what I would have said when I was 17, except that I was never a valedictorian and I was as yet too unformed to make those points proudly. =) I thought I was the only one and only whispered them in the corners of my mind. But this is yet another one of those things about school that people should know. HT: Gabriel. 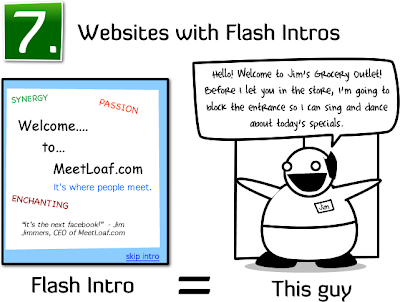 The long and short of why I detest pages that have Flash intros, or worse, use Flash entirely. 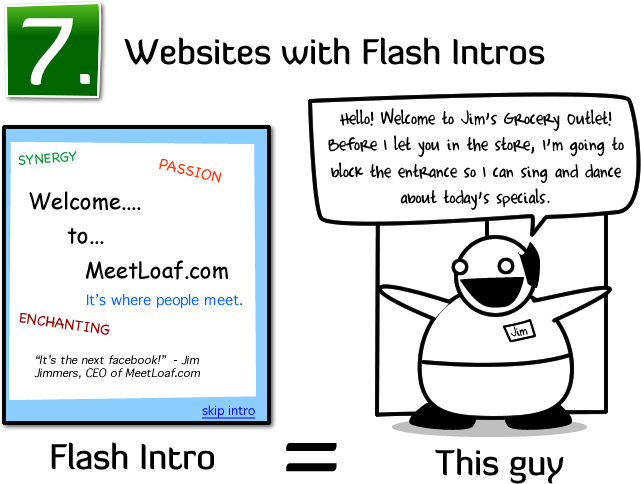 From The Oatmeal. HT: Gabriel.